Perfect used to hold the towels or cleaning rags. 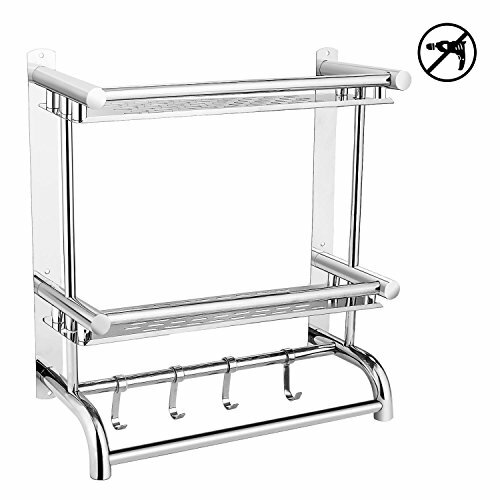 Large capacity 3-tier bathroom towel rack, 4 towel hooks. Two shelves extra storage. Never rust: stainless steel structure to ensure quality and longevity. View More In Bathroom Storage & Mirrors.